If you conduct business in Belgium, then you need to consider the fact that there is more than one language spoken. Collection in Belgium is often possible for a relatively small fee, but legal proceedings can sometimes be protracted. Our Belgian debt recovery lawyers have the power and the knowledge to persuade your debtor to pay. With a Belgian branch in Antwerp, we are able to decisively collect your claims in Belgium. Create the impression that you assume this is simply a matter of human error. 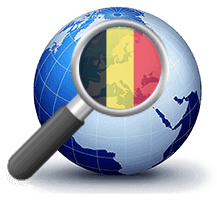 Our Belgian debt recovery lawyers have extensive experience with and knowledge of the law and legislation in Belgium. Furthermore, they are fully aware of commercial customs and culture in Belgium. That makes it easier to get your Belgian debtor to pay swiftly. Several languages are spoken in Belgium. Our lawyers speak your language, as well as the official Belgian languages Dutch, French and German, so they can easily overcome language barriers. When dealing with a debt recovery matter in Belgium, the debt collection process can be divided into two phases. During the extrajudicial phase, collection takes place without Court intervention. During the judicial phase, the Court is involved. As we are a law firm, we can assist you during both phases. Most matters in Belgium are resolved without Court intervention. Solvency research: Your lawyer and the court bailiff can investigate your debtor’s solvency. The bailiff will visit your customer to assess the situation there, including looking at the inventory. This provides us with up-to-date information on the financial position of the debtor and we can confront the debtor with this. Based on this investigation, we can let you have our specific advice regarding any potential further action to be taken. Ordinary civil proceedings (“Bodemprocedure”): To involve the Court in order to collect your claim, our lawyers can summon your debtor to appear before the Court. If the debtor does not agree to pay, then the case becomes disputed. This does not concern a debt recovery where the debtor cannot pay, but rather a debtor who has provided the Court with reasons why they will not pay the invoice (a defence is filed). 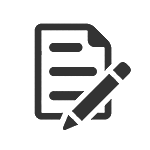 If a defence is filed, at the request of the parties, the Court will set up a schedule for submitting statements, so that the parties can respond to one another’s point of view. However, in most cases no defence is filed. If this happens, the Court will usually issue a judgment in favour of the creditor (called a judgment in default). European Order for Payment: In the event of an undisputed claim between two parties based in EU Member States, it is possible to commence European Order for Payment proceedings. The lawyer handling your case can assess whether this kind of procedure is suitable in your case. For European Order for Payment proceedings, the creditor usually completes a standard form and submits this to the Court. The Court then issues a European Order for Payment. The debtor then has 30 days to respond, if they object to the claim. If there is no response within the 30 day period, you may ask the Court to make the order for payment final (called a “declaration of enforceability”). This is a valid and enforceable judgment which is accepted in any Member State. The European Order for Payment is never appropriate for disputed matters (so not in cases where there is an argument about the invoice). The advantage of this procedure are speed and low costs (some Member States don’t even charge a court fee), but the disadvantage is that if it becomes disputed, the procedure comes to an end and an ordinary civil procedure will have to be started if the creditor wants to proceed.